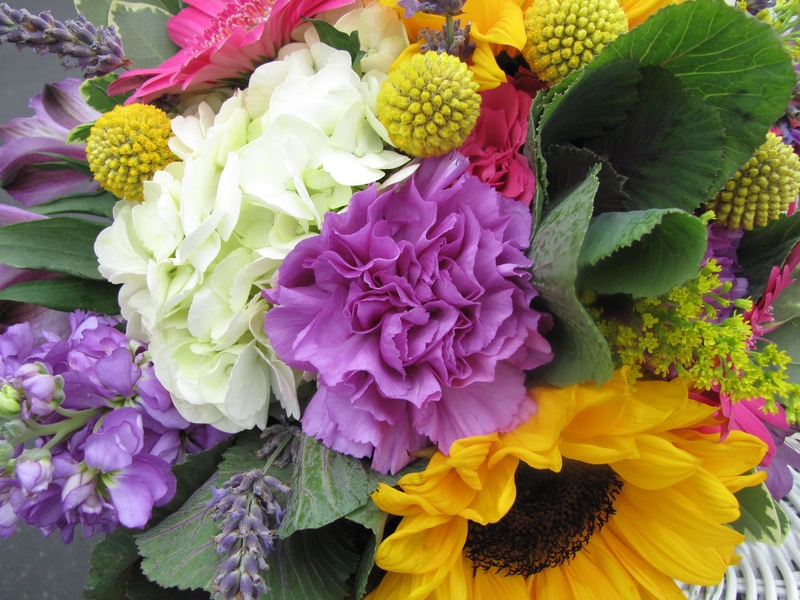 Monochromatic bouquets make a big impact. 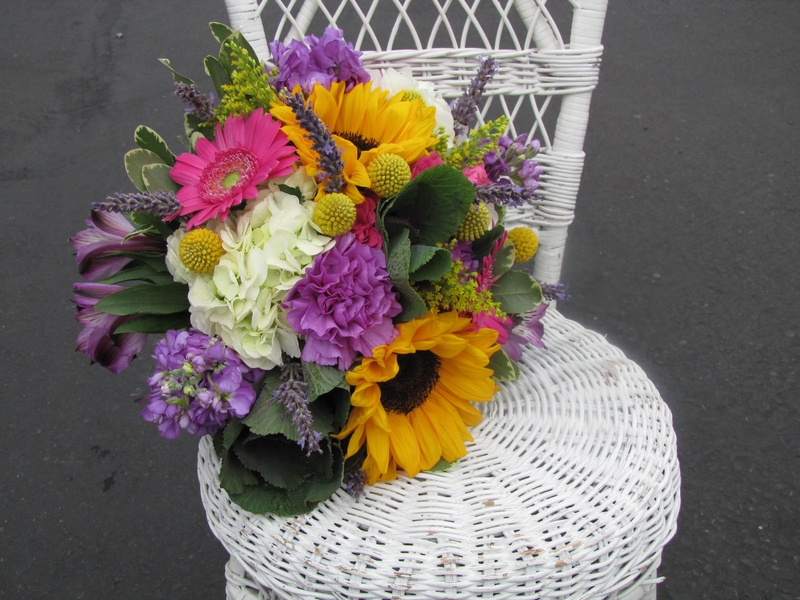 A recent wedding of the son of one of our employees employed monochromatic bridesmaids bouquets and boutonnieres while the bridal bouquet and groom’s boutonniere combined all 3 colors. 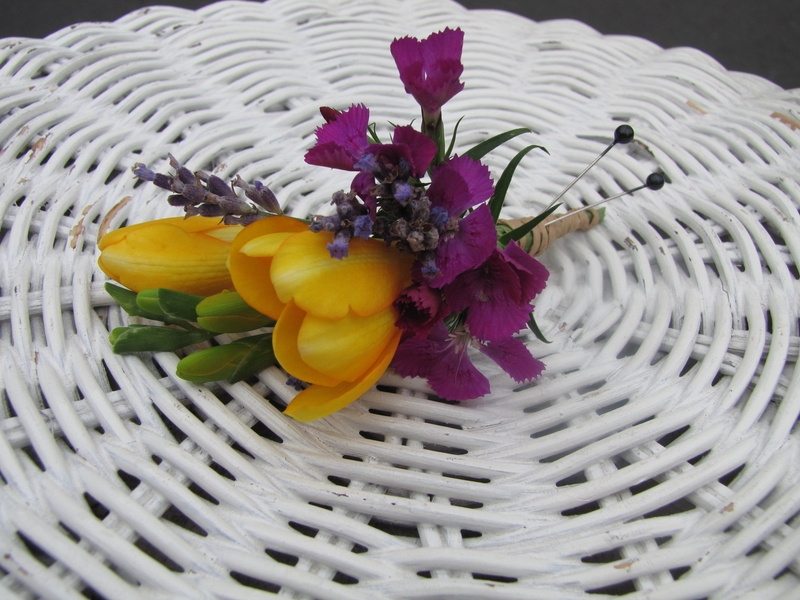 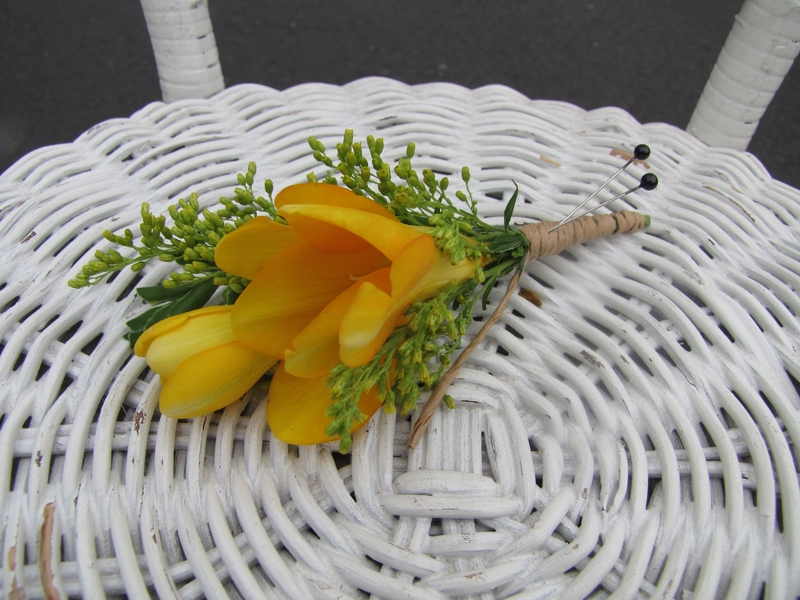 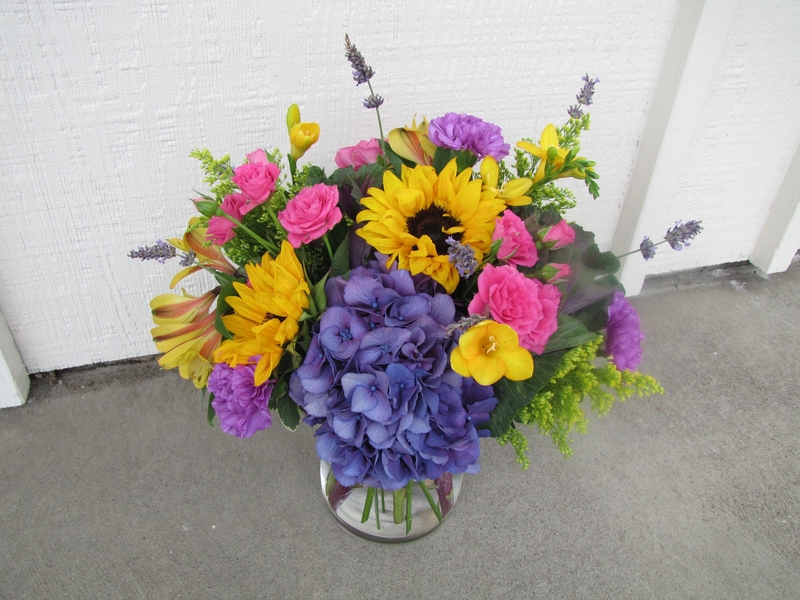 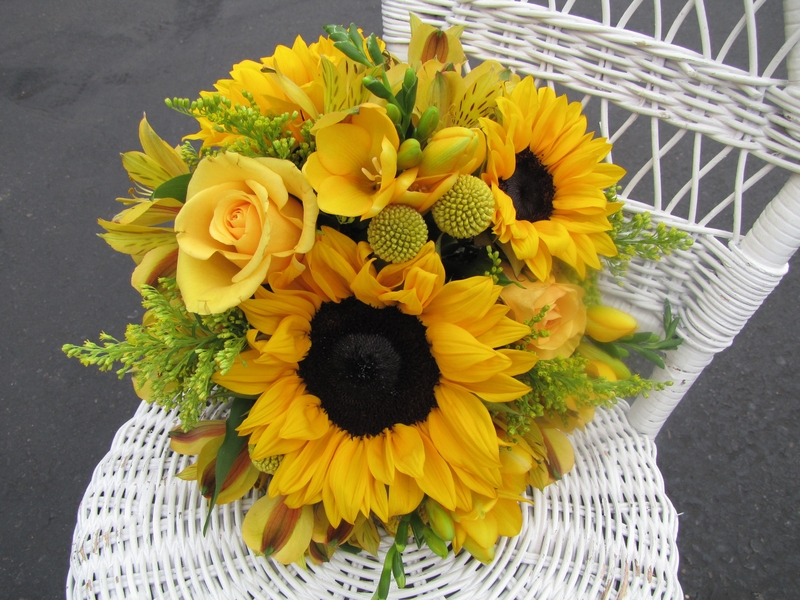 The yellow bouquet included sunflowers, freesia, roses, craspedia (billy balls), alstromeria and solid aster. 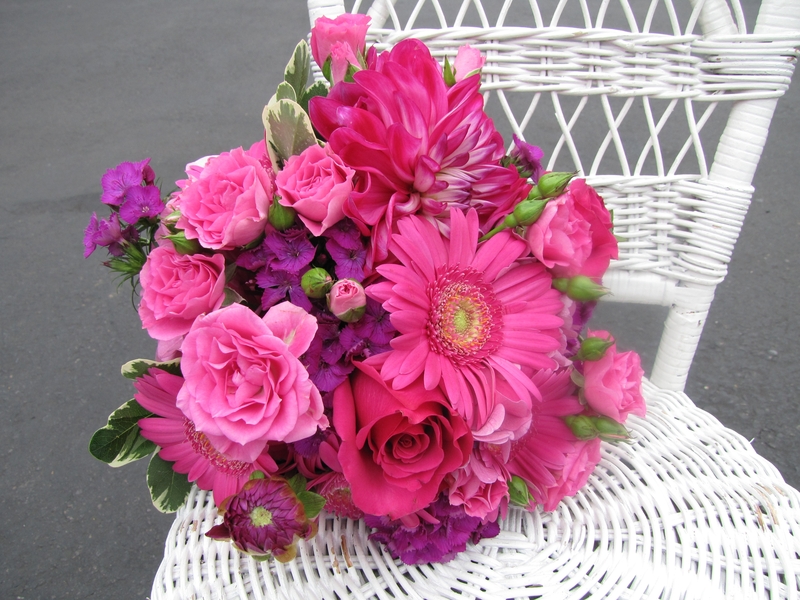 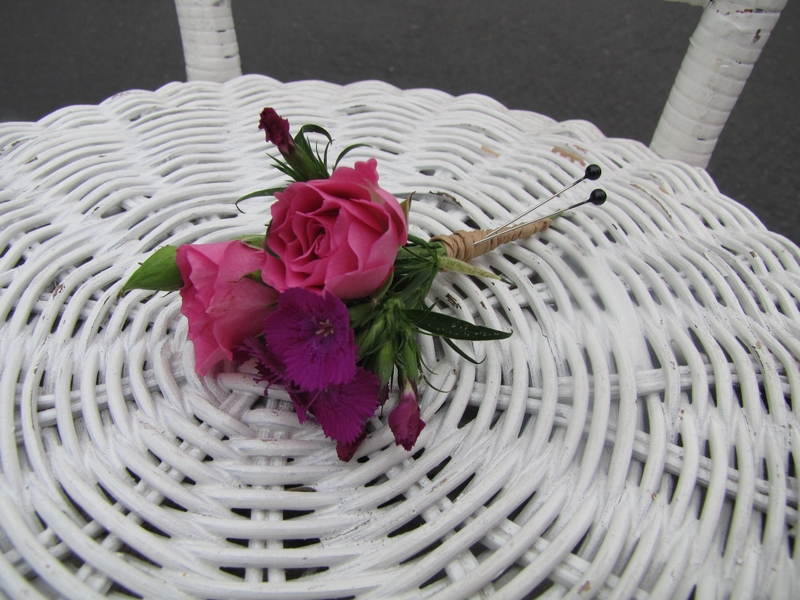 The pink bridesmaid bouquet included gerbera daisies, roses, dahlias, spray roses and sweet william. 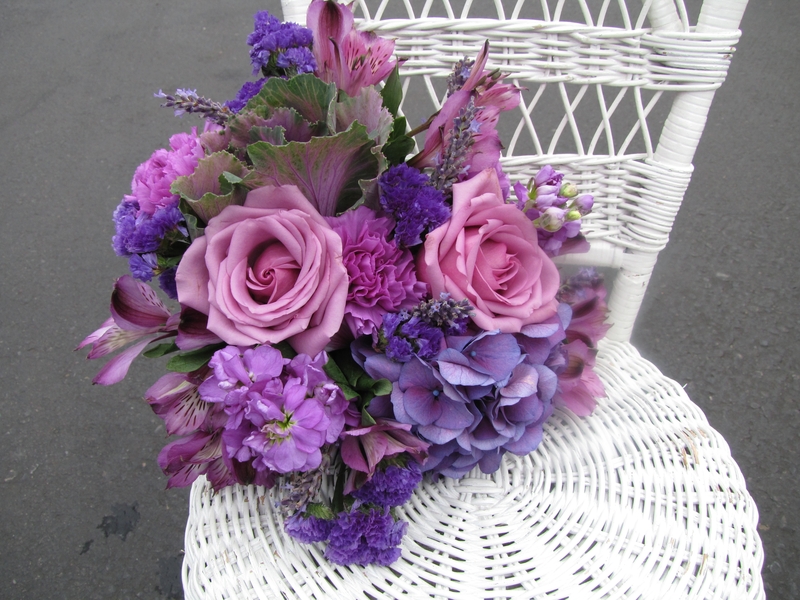 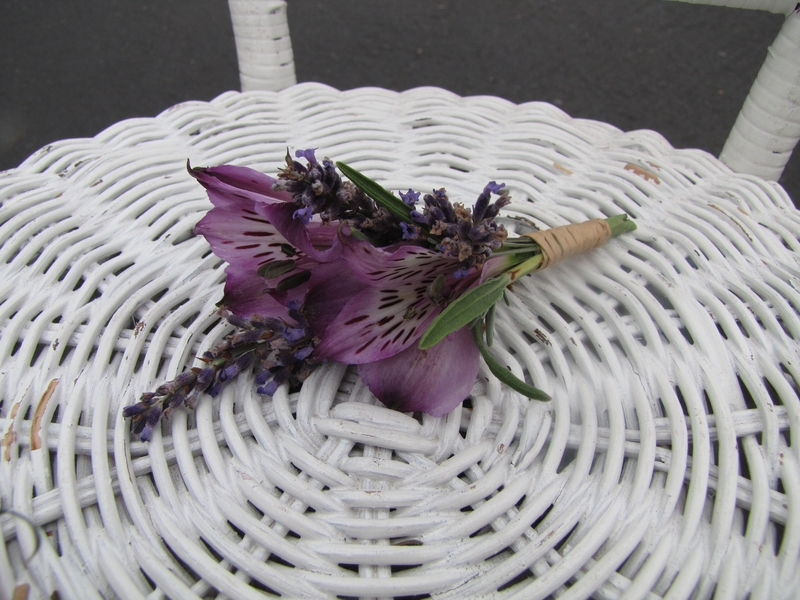 The purple bridesmaid bouquet included stock, roses, kale, lavender, alstromeria, lavender, hydrangea and carnations.